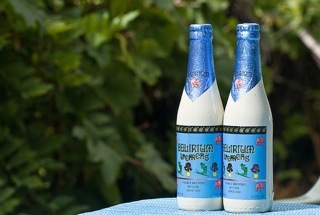 Fancy a trip to Belgium this summer? P&O Ferries can get you and the family their with their Hull to Zeebrugge ferry. The cross channel ferry is decked out with plenty of entertainment, even a cinema and casino for you to really get in to the holiday spirit before landing at Belgium’s port city. There’s plenty of exciting and interesting events on this summer in Belgium. It’s true the mussel season has just about come to a close but gastronomers will have plenty of traditional fare to keep themselves sated. The chocolate industry of Brussels is world renowned, for information on chocolate holidays look here. 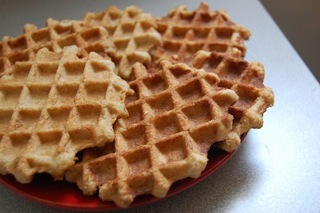 As any true foodie would know Belgium is famed for it’s waffles and is the birthplace of French fries (mistakenly named by Tommies in World War I). So there really is little need to fear that the food won’t pass muster. To cap it all, Belgium boasts some of the finest beers with the oldest brewing traditions in Europe with it’s close proximity to the fine wines of France there’s little excuse not to keep spirits high. This July is the annually anticipated BrewFest 2014, if you’re struggling to find information about the event it’s very simple – show up in Antwerp on July 5th and make your way to Adriaan Brouwerstraat. Essentially there’s going to be a huge street party complete with DJs live performances and it’s all to be catered by Belgium’s own authentic breweries. Antwerp is just a short drive from the port in Zeebrugge where your ferry will make berth, one of the great conveniences of a holiday to Belgium is that it is such a compact country that that you can really see it all in just a short time. The more historic sites such as Bruges are deserving of more of your time but if you find yourself in Belgium this July then letting loose on the streets of Antwerp will definitely serve to liven your holiday up. Belgium isn’t all Gothic architecture and canals! As well as the centenary of World War I, 2014 is also the 200th anniversary of the birth of the creator of the saxophone, Adolphe Sax. Who was born in Dinant a small city south of Brussels, it’s a remarkably scenic place resting on the River Meuse. You can actually visit Sax’s house if you find yourself down that way, there are hourly trains running from Brussels to Dinant. To mark the anniversary of the saxophone, the Musical Instruments Museum in Brussels is hosting an exhibition entitled SAX200. This will be a groundbreaking display, the largest public collection of saxophones will be open to the public with contributions from museums all across the world, London, Paris, Leipzig, Amsterdam, New York and more. Adolphe Sax created various musical instruments as well as some medical tools as well – the display began this February and doesn’t close until January 2015. To book now click here. One great way to fill an evening on your trip to Belgium is to take the ghost walk at La Roche the castle of Ardenne. You get fantastic walking tour of the castle and learn a bit about Belgian folklore. Reported sightings of the ghost of Berthe, daughter of the Count of La Roche in the 10th-century are said to be prevalent during the summer months. La Roche is situated to the south of Belgium so if you find yourself that way prepare yourselves for a spooky evening. A major attraction for British tourists in Belgium this year is the Titanic Artifact Exhibition. Which opens it’s doors on May 31st and runs through to the close of September 2014 at the Brussels Expo. 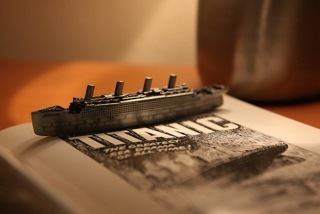 Everyone is familiar with the story of the Titanic but this exhibition will really draw out your imagination. The cruise liner was the very pinnacle of early 20th century affluence, in a time before the world wars had left their scars across society. Through rigorous preservation techniques and chemical restoration a large collection of rare and fragile artefacts are to be displayed. These vary from scented vials and porcelain to the machinery of the ship itself, cutting edge in it’s day when technology really began to take a turn for the modern. You can book ahead for tickets, since queues are to be expected. Your tickets give you an allotted 30 minute window to enter the exhibition without having to line up, so make sure you are prompt. Family tickets cost 50€, 15,90€ for adults and 12,90€ for children, under 4 year olds get in free. Since the exhibition is in Belgium the stories of the crew focus on the Belgians who were aboard. You’ll get to see the luxury of first class cabins compared with second and third. Mementos and forensics of the final hours of the ship should certainly prove sobering. There’s also a lot of information about the recovery of these artefacts and the reconstruction and preservation of the ship. The effort that’s gone in to bringing this exhibition about itself is a thing to wonder at, given that the wreck was only rediscovered back in 1985 and many of the preservation techniques that are now common practise were not yet invented. To finish this post we’d like to draw special attention to one of the WWI exhibitions in Belgium this summer. The FotoMuseum Antwerp: Shooting Range – since this war was the first war to be documented on film it’s unique as the earliest experimentation with photography. Cameras were used for strategic reconnaissance as well as propaganda and anti-war protest. This exhibition presents authentic original film with a contemporary lens so you grasp the full scope of the conflict as a turning point for man. There’s plenty for you to discover in Belgium over the summer months, many more war services are being held, or you can take to the great out doors and visit the scenic towns such as Spa, the birthplace of fictional detective Poirot!